Spring equinox, or Ostara, is a time for fertility and sowing seeds, and so nature's fertility goes a little crazy. The rabbit—for good reason—is often associated with fertility magic and sexual energy. So how did we get the notion that a rabbit comes around and lays colored eggs in the spring? The character of the "Easter bunny" first appeared in 16th-century German writings, which said that if well-behaved children built a nest out of their caps or bonnets, they would be rewarded with colored eggs left in the night by an Easter Hare. This legend became part of American folklore in the 18th century, when German immigrants settled in the eastern U.S. In medieval societies in Europe, the March hare was viewed as a major fertility symbol—this is a specific species of lepus that is nocturnal most of the year, but in March when mating season begins, there are bunnies everywhere all day long. The female of the species is superfecund and can conceive a second litter while still pregnant with a first. As if that wasn't enough, the males tend to get frustrated when rebuffed by their mates (go figure) and bounce around erratically when discouraged. To tell his evil deeds I will not spare. Later, it appears in both the writings of Sir Thomas More, with "As mad not as a March hare, but as a madde dogge,"and later in a 16th-century book of proverbs. Author and folklorist Suzanna Linton says, "Rabbit as a trickster is a motif seen all over Western culture...In some Native American lore, the rabbit is credited with killing the sun (after going on a rampage of his own) through trickery but also for bringing fire to man (a gift some tribes credit to the raven, who is another trickster animal)." So how can you channel this frantic, fertile energy into a magical working? Let's look at some possible uses for some of that "mad March hare" energy in magic. Fertility rituals: place a rabbit skin under your bed to bring fertility and abundance to your sexual activities. If you're opposed to the use of real fur, use some other symbol of the rabbit that you're more comfortable with. The obvious one—a rabbit's foot is said to bring good luck to those who carry it, although one might argue that it's not so lucky for the rabbit. To bring yourself boundless energy, carry a talisman engraved or painted with a rabbit's image. 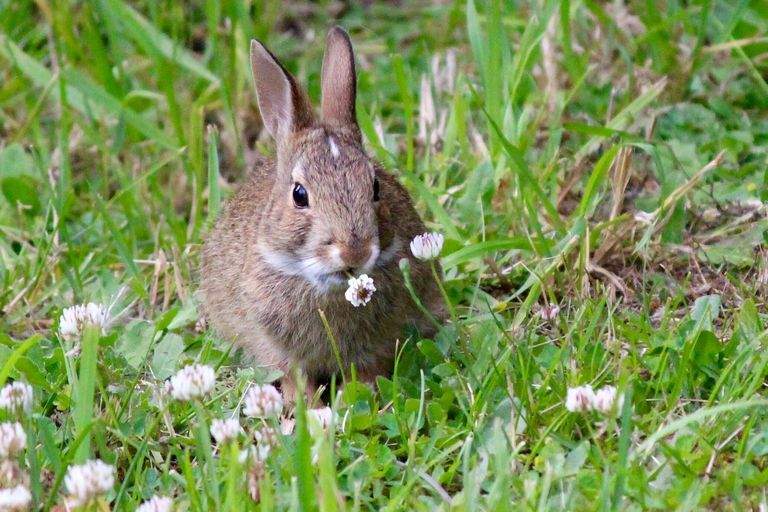 If you have wild rabbits or hares that live in your yard, leave them an offering of lettuce, shredded carrots, cabbage, or other fresh greens. In some magical traditions, the wild rabbit is associated with the deities of spring. Rabbits and hares are able to go to ground quickly if in danger. Add a few rabbit hairs to a witch bottle for protection magic. In some legends, rabbits and hares are the messengers of the underworld— after all, they come and go out of the earth as they please. If you're doing a meditation that involves an underworld journey, call upon the rabbit to be your guide.